Curious? The story is here. that’s priceless. 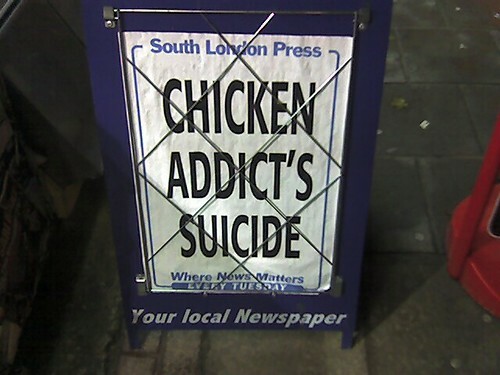 i miss british headlines on the sidewalk. Hi, I’m an admin for a group called SOUTH LONDON PRESS, and we’d love to have your photo added to the group.